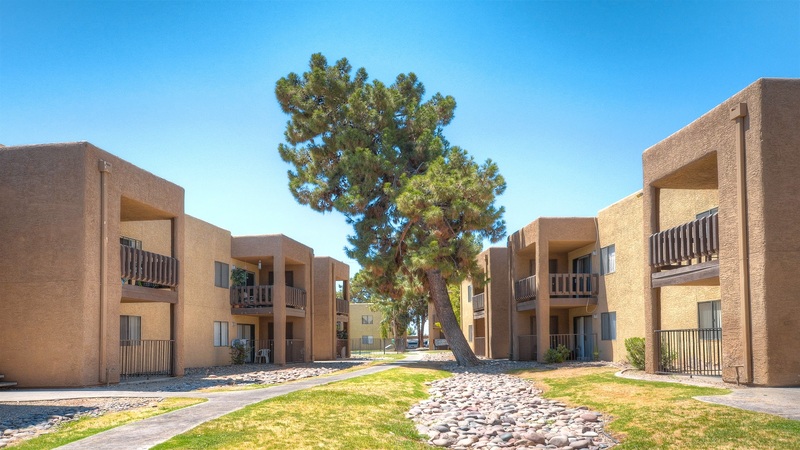 Phoenix, AZ – March 15, 2018 – ABI Multifamily, the Western US's leading multifamily brokerage and advisory services firm, is pleased to announce the $12,000,000 / $69,767 Per Unit sale of the Bethany Park Apartments located in Glendale, Arizona. Built in 1984, Bethany Park is a two story, garden-style apartment community that features 172 units in 10 rental buildings constructed of wood frame and stucco. The property has flat roofs and rests on approximately 6.26-acre. The unit mix consists of 124 one-bedroom / one-bathroom units and 48 two-bedroom / two-bathroom units, with a weighted average size of 776 square feet. Bethany Park is individually metered for electricity with individual hot water heaters. Units feature air conditioning, private patio / balcony, extra storage, and kitchens equipped with a dishwasher and garbage disposal. Select units offer walk-in closets, washer / dryer hook-ups, and fireplaces. This gated community also provides its residents with two swimming pools, a spa, covered parking, and two laundry facilities. "Bethany Park is located near both Westgate and Downtown Glendale," states Alon Shnitzer, Senior Managing Partner at ABI, lead broker for this transaction. "The City of Glendale, including the South Glendale submarket, has witnessed an explosion in renter households rising ~31% since 2000. Many of these residents have been displaced by more high-end development occurring in the Phoenix MSA's more urban core areas. The Buyer hopes to continue capitalizing on this trend, as the "work force" housing demand continues to grow in the submarket." The Buyer, Bethany Park Apartments, LLC was formed by a private investment firm based in Los Angeles, CA. The parent company and its subsidiaries currently control over 3,750 apartment units in the Arizona Market. The Seller was a Joint Venture between New York-based Dalan Management and Arizona-based VM Management. The partnership owns and manages real estate with a focus on improving and adding value to multifamily and commercial properties. Dalan's portfolio includes residential properties in Manhattan, Brooklyn, Queens, the Bronx, Washington DC and Phoenix, Arizona with additional commercial holdings in Manhattan. VM's portfolio consists of multifamily assets in the greater Phoenix area. The multifamily brokerage team of Alon Shnitzer, John Kobierowski, Rue Bax, Doug Lazovick and Eddie Chang represented both the Buyer and Seller in this transation.